Mary Beth is a Loop Abroad alumna and served as in-country support staff on Loop’s South Africa and Thailand programs before joining the admissions team. Throughout her time with Loop Abroad, Mary Beth has helped countless students to maximize their learning experience and get the most of their time abroad. 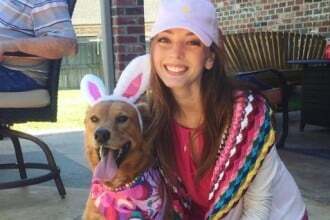 Mary Beth holds a Bachelors of Science in Biology from Louisiana State University, where she focused on pre-veterinary studies, and plans to go to vet school in the future. Mary Beth loves animals, especially cats big and small, and has worked as a veterinary assistant and a staff member at a wildlife sanctuary. When she’s not working for Loop Abroad, she also manages and designs events for children, teens, and university students, works as a Naturalist Volunteer at the Audubon Zoo, and fills in as a vet tech at Avian and Exotic Animal Hospital, working with birds, rabbits, chinchillas, hedgehogs, snakes, and other exotics. 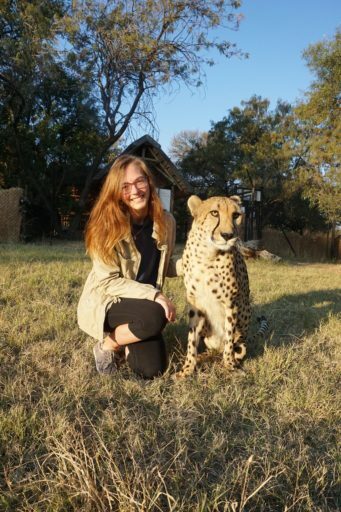 She loves helping applicants find the perfect program for them and has a special place in her heart for the South Africa Veterinary Service program, which she attended as a student. Mary Beth is from New Orleans and loves Mardi Gras, crawfish with Cane’s sauce, and LSU. She’ll be happy to tell you all about her Disney obsession and her love for her pets, Lilly, Pocca, and Toulouse.